Discover Romeo’s universe by learning more about the founder and designer: Romeo Pham as well as the philosophy behind his handmade jewellery collections. Coming from a very modest background, Romeo and his brothers were among the thousands of boat people who fled Vietnam and landed in Thailand. Through Terre des Hommes Canada (TDH Canada), an organization that helps children in need around the world, Romeo found refuge in Canada, where he lived in foster homes for a number of years. Thanks to his hard work and determination, he was admitted to the Fine Arts program at Concordia University in Montreal, where he developed his talent as an artist; he also began to build his reputation as a sushi chef. Today, he operates Sho•Dan, one of Montreal’s finest sushi establishments. For Romeo, sushi is a form of art: Each piece is a canvas on which he creates a unique visual and sensory experience for his guests. Inspired by a lifetime of artistic exploration, Romeo has used different media over the course of his career. His jewellery creations are inspired by his passion for travel, food and the worlds of watchmaking and aviation engineering. Over the years, Romeo has honed his creative skills to launch in 2015 his very first line of bracelets for men and women. To offer unique jewellery designed and handmade in Canada with natural materials that meets the highest standards of quality. Furthermore, our mission is to give back to the community – we donate a portion of our profits to Terre des hommes Canada (TDH Canada), helping children worldwide. We are inspired by the slow made movement philosophy, which means “made by taking the necessary time”, because we value the fulfillment that comes with doing manual work – produce better, work better and consume better. This sense of time allows us to offer unique pieces while respecting one of our fundamental values, offering a quality design. 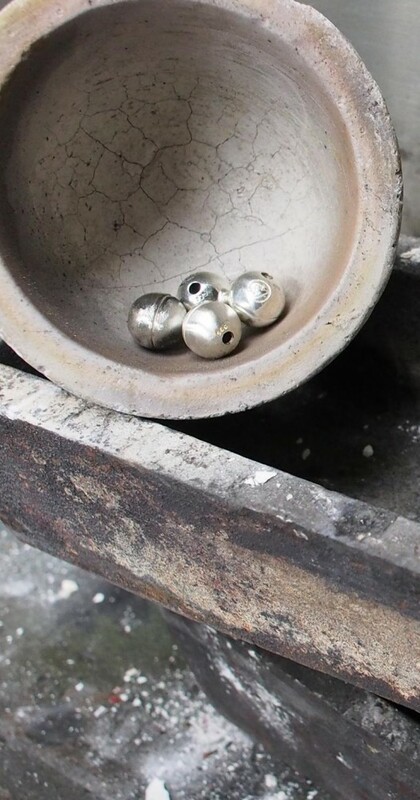 The pieces used in our creations are handmade by artisans who are passionate about their work – just like us! Those carefully selected craftsmen use their «savoir-faire», transforming the materials with sophisticated techniques to create unique pieces of art. Our philosophy is to encourage local artists. In fact, craftsmen based in Montréal make the leather bands and exotic skins, as well as the casting and moulding of our sterling silver pieces. At Romeo J., we aspire to create bracelets that are works of art and endless fashion accessories; pieces our clients will enjoy wearing for years to come. We hope that our creations will raise curiosity, excite discussions and be part of our clients’ everyday lives, adapting to their activities – from the office to happy hour, during vacation and leisure time. 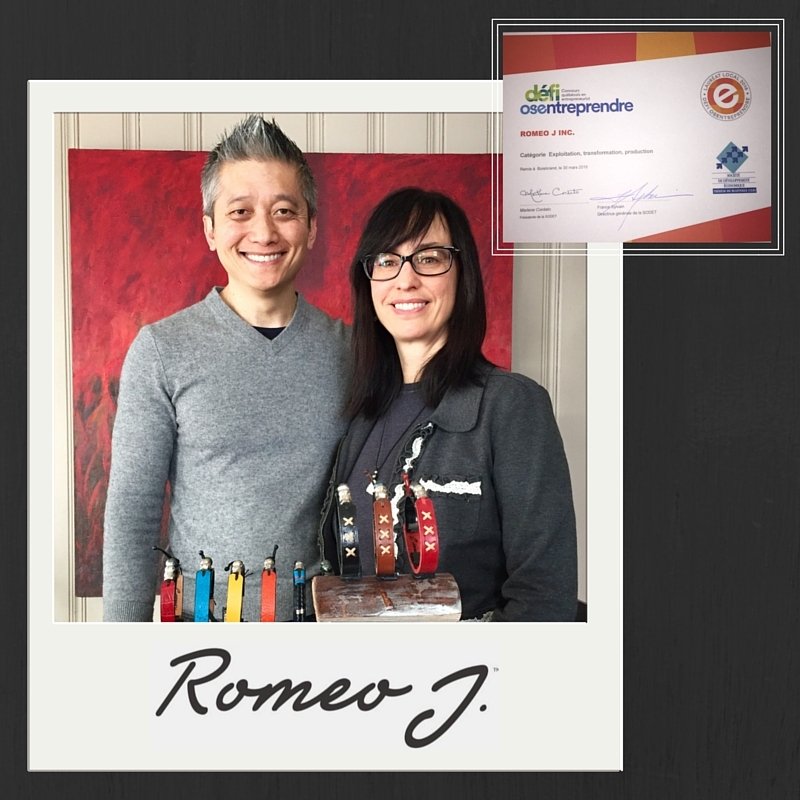 Romeo has never forgotten the kindness and support he received from TDH Canada. The creation of RomeoJ.TM is his way of giving back to an organization that did so much for him: RomeoJ. Inc. has committed to donating a portion of its sales to TDH Canada to help children all over the world. Theme: How Romeo integrated himself into the Canadian society as a Vietnamese refugee. 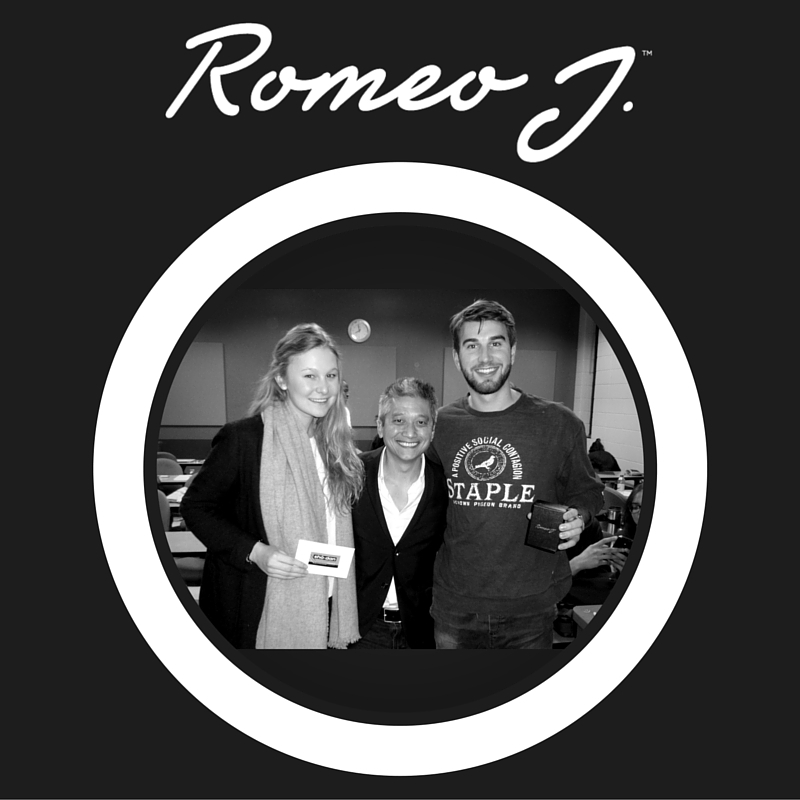 Visit Sho-dan to learn more about Romeo, the designer et founder of Romeo J. For a perfect match, complete your Romeo J. look with these watches straps. Romeo J. Inc. is proud to contribute to this foundation that help children here and all over the world.